For those of you who missed it, The Albuquerque Journal wrote a lovely article describing our community on Rio Grande. Click on the link for a copy of the article. The Albquerque Journal, in their Live Well Magazine for boomers, just published an article on simplifying and downsizing. Acequia Jardin was featured. 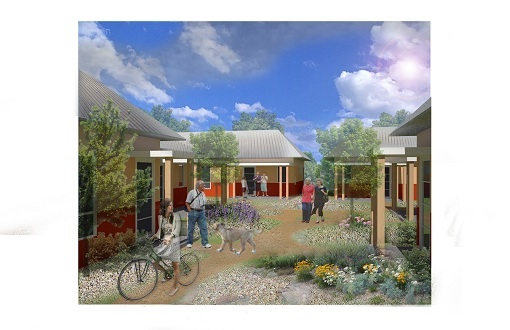 Example of what homes and courtyard will look like.